Try the newest, most fun activity on the river – Stand Up Paddleboarding (SUP)! On this half day trip you’ll SUP 5 miles down the Colorado River. You’ll stand up or kneel on a large, surfboard-shaped board and steer with a long paddle as you navigate down the river. Prepare yourself for falling in the water, as it’s highly likely that you’ll go for a swim! This section of the Upper Colorado River through Little Gore Canyon is the perfect spot to test your abilities with this adventure. The Class II riffles and flat water create a bit of a challenge. You should be comfortable with the fact that you will likely fall in during the trip. There are a couple more adventurous Class II-III sections as well so it’s a great way to up the excitement a bit on our Upper Colorado Scenic Float. Have smaller kids or less adventurous ones? They can ride in a raft while you SUP along. Also consider our inflatable kayak trips in this section. On these Upper Colorado Scenic Float trips, our rafts, inflatable kayaks and SUPs all go together, so it’s an easy way to mix it up for your group. 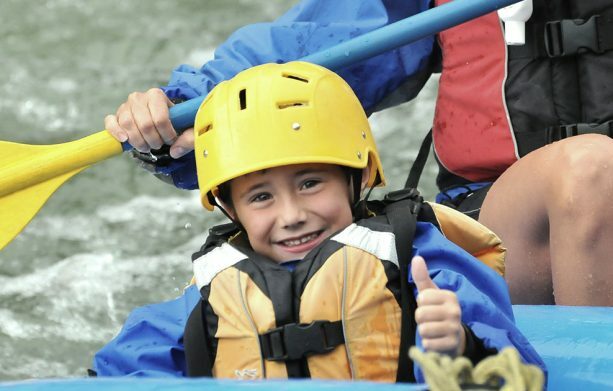 AVA Rafting & Zipline strives to add value to make your experience special, and that’s why we provide splash jackets and wetsuits free of charge. Many other outfitters in the area charge up to $20 extra per person. With AVA, you won’t have to worry about that. Cash to tip your SUP guide! Head out on your stand up paddleboard! We had an amazing experience stand up paddle boarding. It was challenging and not scary for this first timer. Greg was a great guide and we had a blast!!! Eat at Los Amigos afterwards.